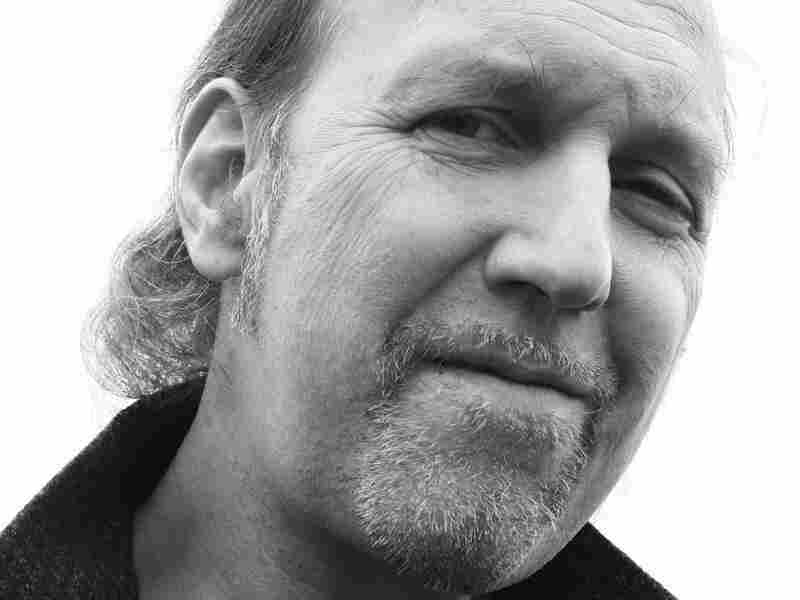 Fed Up With Noise, Foy Seeks 'Zero Decibels' George Michelson Foy stood on the platform of a New York City subway station, battered by the noise of trains, crowds and traffic. Suddenly, he couldn't take another minute of the din. Zero Decibels is the story of Foy's search for absolute silence. Inside the Boott Cotton Mill Museum in Massachusetts, where the cotton mills still run, a sign forbids entry without earplugs. Even with protection, author George Michelsen Foy writes, "the sound is massive." George Michelson Foy stood on the platform of a New York City subway station, battered by the noise of trains, crowds and traffic. Suddenly, he couldn't take another minute of the din. Zero Decibels is the story of Foy's search for absolute silence. In his quest, he visited the Parisian catacombs, Joseph Pulitzer's "silent vault" and the Berkshires. He tried noise-canceling headphones, flotation tanks and silent meditation. Foy used a "serviceable" sound meter that cost a couple hundred dollars to measure the levels of sound in his life. The place he found the greatest silence was in an anechoic chamber, a sound-proof room at Orfield Labs in Minnesota. "It's rated to minus 9.4 decibels," Foy tells NPR's Neal Conan. But how is that possible -- negative decibels? "Zero decibels is not perfect silence," Foy says. "It's actually the level at which 100 people who don't have hearing damage stop hearing anything. But in fact, that doesn't mean that there are no sound waves around." Foy describes the anechoic chamber in a word: "Wonderful." The chamber consists of "three cubes nestled inside each other. Two are steel. The third is 1-foot-thick concrete walls, and the steel cubes are resting on springs." He says the first thing he heard in the chamber was a sort of bubble: "That's the only way I can describe it. It was like an aural bubble. There was nothing there." Author George Michelsen Foy started his search for silence by carrying a pocket-sized decibel meter to measure the sound levels in the places he visited most. Next he heard his own breathing, and then, when he held his breath, his pulse. Listening hard, Foy says the next thing he heard worried him: "a rhythmic kind of scraping sound that reminded me of a particular piece of nautical machinery." Foy later learned that sound was tinnitus, or a ringing in your ears that is symptomatic of your hearing actually working. "If you think of your hearing system as an amplifier with a mic and related circuitry -- when you turn on your amplifier at home on your sound system, you start to hear a tiny little hum. And that, in fact, is what tinnitus is," Foy explains. He thinks it's very likely that most people have tinnitus, at least those with working auditory systems, and that sound is the hum they emit. Ultimately, Foy says he sees his search for silence as commensurate with searching for new kinds of sound, and new ways of listening. "Listening is absolutely key to this whole concept," he says. "I think listening is part and parcel of the value of silence because it's something that we've forgotten how to do, and in so doing, we've forgotten some of the richness of the world that we live in." Tell us: Where do you go, or what do you do, when the noise of everyday life becomes unbearable? The quest began as George Foy stood on the platform of a New York City subway station, 79th Street, a local stop on the Broadway IRT. Amid the background cacophony of the traffic overhead, a local screeched in on the opposite track, then express trains rocketed in from opposite ends of the station and sent off a sonic boomlet as they passed each other. Enough already. Foy set off on a quest that took him across the globe, a search for absolute silence. He bought a device to measure sound at his office, in his apartment, in the catacombs of Paris, in a sensory deprivation chamber and at the launch of the Space Shuttle. So have you gone in search of silence? Did you find it? Our phone number, 800-989-8255. Email us, talk@npr.org. You can also join the conversation on our website. Thats at npr.org. Click on TALK OF THE NATION. Later this hour, relations between North and South Korea are at a record low after the sinking of a South Korean naval vessel by North Korea. Victor Cha, North Korea expert, joins us. But first, George Michelson Foy joins us from member station WGBH in Boston. His book is "Zero Decibels: The Quest For Absolute Silence." Nice to have you on TALK OF THE NATION today. Mr. GEORGE MICHELSON FOY (Author, "Zero Decibels: The Quest For Absolute Silence"): Pleasure to be here, Neal, thank you. CONAN: And I used to get on the Broadway local every day at 79th Street to take the subway to school; and like most New Yorkers, as you describe it in the book, I took it as a badge of honor to stand there stoically as the express trains crossed in the station. Years later, I realized I make my living with my ears, and I gave in to the impulse to stick my fingers in my ears to block the noise a little bit, behavior which instantly describes me as an out-of-towner. Mr. FOY: Exactly, exactly, and in fact, as a New Yorker, as at least a former New Yorker, I would have looked at you with contempt - you blocking your ears like that. Mr. FOY: But I started doing it myself. CONAN: Yes, absolutely. One of the things you discovered was that the levels of sound, not just in the subway station, as you might image in, but in a lot of other places in New York were, well, enough to cause damage. CONAN: It's hard to tell one stress from the other, the deadline stress with the sonic levels. And the device you got, it's sort of a mid-range sound (unintelligible). You could spend a lot more money. Mr. FOY: Absolutely. To measure sound down to the levels of close to what I would call silence or practical silence, you need a set of mics and signal amplifiers and so forth that would cost thousands of dollars. I didn't have thousands of dollars to do that, but you can buy a serviceable sound meter, audiometer, for a couple of hundred dollars and measure, practically speaking, the levels of sound in your life; which is what I did -both in New York and then, as I said, as I wrote - looking for silence in other places: catacombs, country, deserts and so forth. CONAN: And how well did you do? Mr. FOY: Well, in terms of quality of sound, it's an interesting question. It's more a question, I think, of whether I found silence at all, and it's not an easy to answer to that. CONAN: Well, wait a minute. How can you get below zero decibels? Mr. FOY: Well, zero decibels is not perfect silence. It's actually the level at which 100 people who don't have hearing damage stop hearing anything. But in fact, that doesn't mean that there are no sound waves around, that there aren't particles rubbing against each other and creating sound, and those, that rub, those sound waves can be measured by instruments, but they can't be picked up by the human ear. So in this particular instance, it was three orders of magnitude below that level for average people. CONAN: You're in the anechoic chamber. What can you hear in there, in perfect silence? Mr. FOY: Well, the first thing, I mean, and this chamber is wonderful. It's three cubes nestled inside each other. Two are steel. The third is one-foot-thick concrete walls, and the steel cubes are resting on springs. It's wonderful. You go in there, and utter darkness, and the bunker-type doors close, and the first thing I heard was this sort of bubble. That's the only way I can describe it. It was like an aural bubble. There was nothing there. But that only lasted maybe a second or two, and then I started hearing stuff. I started hearing myself breathing, obviously. I stopped breathing, at least temporarily. And then I started hearing my pulse, and not much I could do about that, but I kept listening hard. And that was really one of the things that I found with this book was, one of the best conclusions I reached, I think, was how hard it is sometimes to listen and how important is it to listen. But I kept listening, and then another sound eventually came, which I could not explain at all, and it was a rhythmic kind of scraping sound that reminded me of a particular piece of nautical machinery. And that I that really worried me. I didn't know what it was, and I heard it for the 45, 50-odd minutes that I was in that anechoic chamber. And trying to explain it to myself, had a theory about it, but it bothered me because if I could hear something in this anechoic chamber besides my the sounds my heart was making, then it meant that something else was afoot. CONAN: Was something else afoot? Mr. FOY: And it was indeed. It was tinnitus or tinnitus it's pronounced both ways and it's a fascinating thing because what it really is is a symptom of your hearing system actually working. If you think of your hearing system as an amplifier with a mic and related circuitry - when you turn on your amplifier at home on your sound system, you start to hear a tiny little hum. And that, in fact, is what tinnitus is. And you can, in fact - and I think it's very like that - you can, in fact, argue - and I think it's very likely that most people do have tinnitus, because most people have working auditory systems, and that's the hum they give off. Not everybody can hear it. But, for example, when you test newborns now, instead of doing the classic test, which consisted of sort of ringing a bell next to the child's ear and seeing if he flinched, you put in a little instrument that gives off a tone, and that instrument then picks up the reaction, the sound that the hearing system of the baby emits. So we all have this amplifier-type hum in our hearing system, but what the implications of that were for my search for silence were a little bit scary because I really, psychologically, wanted to find silence. I was reacting, as you mentioned earlier in the subway in New York and the stress of my life and all that stuff, I was reacting to this feeling that I was being damaged by sound, and I wanted this total sound. I wanted this absolute silence. Mr. FOY: Exactly, exactly. And I think silence really is something that can heal most people in the sense that I think that most people live in Western society in a pretty noisy environment, and it's an environment that can cause physical damage on the long term, even the level of sort of loud conversation or traffic passing out in the street outside your house, long term can boost your stress levels and cause cardiac problems. But also, I think I mean, I think the reason that people choose or agree to live in these environments to some extent is because they're scared of silence. They're scared of silence because sound is kind of the carrier beam of our civilization. It's what convinces us that things are working, that machines are moving and that cash registers are ringing and that everything's all right around us, we're supported. But the fact of the matter is we really don't have any control over that kind of society. I have friends who have just lost jobs and lost houses. They have no control over this society, and yet they don't want to turn off the sound, the TV, the radio, their car engine. Mr. FOY: Yeah, and what sound does, its most interesting role is, as I said, reset the meters. It gives us space to kind of listen to different rhythms than what we're used to and what we're subjected to. It allows us to come up with different ideas and imagine different alternatives to various problems or solutions for them. And just the way if you're trying to compose a piece of music, you can't do that if you're listening to another piece of music. You have to switch that off and allow your brain and your creativity room, auditory room, to create something new. CONAN: We're talking with George Foy. His new book is "Zero Decibels: The Quest For Absolute Silence." Have you ever gone in search of silence? Did you find it? 800-989-8255. Email us, talk@npr.org. And we'll start with Sharon(ph), Sharon on the line from Reno. SHARON: Thank you for taking my call. SHARON: It's a little bit off track, but today, I'm a frequent flyer of our local bus transport and also of NPR, but I wanted to let you know that today in Reno, the biggest little city has announced on the buses, on the LED displays, for some moments of silence for our veterans today at 3 o'clock. So it's a little off note, but I just wanted to let you know. Perhaps silence is afoot. CONAN: The moment of silence in respect. That's something else you write about, George Foy. SHARON: Correct, that's 3 PM this afternoon in Reno, Nevada. CONAN: It's 3 p.m. everywhere, no matter where it is, local time. So it was 16 minutes ago here on the East Coast. SHARON: That's great. Well, thank you. Just wanted to let you know that it's happening here, as well. SHARON: Thank you so much. Mr. FOY: I think that's a great comment. It's not off track at all. I mean, that's kind of what I was talking about. This is a tradition, but I think it goes very deep, that to cruise back into your memory banks and remember veterans, say, or whatever the memory is, it's necessary to impose a certain amount of silence, to stop the other rhythms, to stop the noise around you. And in this sense, and this Memorial Day, it's a wonderful tradition. And I'm glad it's still being upheld in Reno and elsewhere. CONAN: Here's an email we got from Barb(ph). My escape from Southern California hubbub has been kayaking out into the ocean, a half-mile or so from shore, at a distance from all noise save air traffic or wind, fairly effective. However, note that an equal challenge to finding silence is finding a place where one can yell, scream or otherwise make noise without disturbing or upsetting anyone else. Thankfully, I can holler as much as I want offshore without riling a soul. Mr. FOY: I think that's a wonderful message. In fact, one of the things that I refer back to when I think of silence, and it's not total silence when you're in a kayak in a total sense, but is I myself go kayaking, but my favorite time to go kayaking is in January off Cape Cod in Massachusetts, when there's ice in the water. And first of all, that guarantees that nobody else is going to be out there, not even on the beach, because nobody's that insane. And second of all, it's everything around you is relatively silent. But on top of it, you hear these sounds that you never hear otherwise, which is the sound of ice against the hull, different kinds of ice, brash ice, flow ice, and one of the things that I learned doing this quest that I write about in the book is in fact, searching for silence is the same thing as searching for new kinds of sound and new ways of listening. And listening is absolutely key to this whole concept. I mean, I think listening is part and parcel of the value of silence because it's something that we've forgotten how to do, and in so doing, we've forgotten some of the richness of the world that we live in. CONAN: We're listening to George Foy describe his search for silence this hour. His book is "Zero Decibels." We're taking your calls, 800-989-8255. Email us, talk@npr.org. Stay with us. It's the TALK OF THE NATION from NPR News. For most of us, the cacophony of daily life is endless: screaming sirens, creaky air conditioners, the hum of computers, even that darned radio. Constant sound can be debilitating. Our guest this hour, George Foy, found it so and began a search for silence, the absence of sound. His book is called "Zero Decibels," and you can read about the moment when he found the noise to be intolerable in an excerpt at our website, at npr.org. We want to hear from those of you who have also had enough. If you have gone in search of silence, did you find it? 800-989-8255. Email us, talk@npr.org. You can also join the conversation on our website. Thats at npr.org. Click on TALK OF THE NATION. And let's go next to Steve(ph), Steve's with us in Peculiar, Missouri. STEVE (Caller): That's right. Hey, 30 years ago, I was out at first of all, thanks for taking my call. STEVE: I was out in Natural Bridges Monument, and the park ranger, my friend's uncle, took us out onto the rocks. We sat down about 15 feet apart from one another. We could still hear each other breathing. So we got up and moved further apart, and it was absolute, total silence. I had to stop breathing so I could, you know, couldn't hear myself breathing, and then ringing started in my ears. Even to this day, it was a very oh, I can't quite it gives me chills just thinking about it right now, it was so powerful. CONAN: How high up were you? CONAN: I wonder, you're making a distinction here, I think, and what you may have found was peace. I'm not sure you found silence. STEVE: Well, I'm telling you, I couldn't hear anything, nothing, no wind, no birds, nothing, and it was you know, I had to hold my breath so I couldn't hear myself breathing, and then, after that, is when the ringing started in my ears. CONAN: The tinnitus that George was talking about earlier. Mr. FOY: Well, I think that's something that's scary, when you realize that in fact you're generating a sound that you can't figure out, and the American Tinnitus Association figures that between 30 and 50 million Americans have tinnitus that actually bothers them. There's also evidence to suggest that actually everybody has tinnitus because everybody has this kind of stereo amplifier sound going on. It's just that with some people or a lot of people, that sound isn't loud enough to get through the noises of everyday life, but when you get into a place like the desert, you suddenly start to realize that you in fact are your hearing system is generating that sound. And in fact, the first place that I ever found, a place that I thought was silent, and so silent in fact that it scared me, was in the Southern Sahara. When I got there and there were other things going on in the sense that I was there, and the government didn't really want me to be there, and I couldn't get out. They wouldn't let me get back on a plane. So I kept I walked deeper and deeper into the mountains of the desert, and I found myself in this totally enclosed valley, and it was the most silent place I'd ever been. And I suddenly I got scared. I got scared. As I said, there was this other psychological stuff going on, but the desert is a very silent place, which is why mystics go there: Jesus, Moses and going back to the other desert mystics. It's a place where you go if you really want to listen to something besides the usual noisemakers around you in your society. But can I just say quickly that tinnitus is a on this day when we're remembering veterans and people who have fought for us in wars, it's the number one complaint of people, of soldiers coming back from Iraq and Afghanistan -absolutely the number one. And it's a real serious problem, and the problem is part and parcel of the job of being a soldier. I mean, you're somebody who's firing an M-16, which is going to go off at something like 130 decibels in your ear, and at the same time, you can't wear hearing protectors because you want to listen if somebody is sniping at you. You want to hear where a shot is coming from. You want to hear the environment around you. So they're number one victims for this type of complaint, and I've gotten calls and communications from soldiers and ex-soldiers to whom this is a real serious problem, and they need to know more about it. And I talk about it a fair amount in the book, but it's a fascinating subject and an important one. CONAN: Steve, thanks for the call. CONAN: So long. Let's go next to this is Peter(ph), Peter with us from Berkeley. PETER (Caller): Hi, thanks for this great topic. PETER: One place that people can find silence is by learning and practicing transcendental meditation, and I say that as a practitioner for 41 years now. You know, it's a simple, natural, effortless technique, 20 minutes twice a day. And a lot of times you can just forget everything, even if you have some ambient noise around or something, by just allowing yourself the time to skillfully relax. It's such a pleasant experience that the mind will just draw itself into that deep silence that's available within. CONAN: But you're blocking sound. You're just not hearing it. PETER: Well, I don't know if it's blocking. You know, people get confused about meditation. This particular technique is so wonderful because it doesn't ask the person to concentrate on anything or concentrate against anything. So you're not exerting effort. But somehow, there's a mechanics where it happens that you can just go into this deep silence that's just, you're oblivious to everything else. And it's true it's an escape, but it's not an escape from life because you come back actually more energized, calmer but more clear. You don't have the side effects of alcohol and such. CONAN: I wonder, George Foy, did you try meditation? Mr. FOY: I did, I did. I mean, I tried it on and off for some time, but I went to a weekend-long silent retreat in central Massachusetts, where not only was the focus on meditating several hours a day, but throughout the weekend, nobody made any sound. Nobody talked. It was absolutely silence was the rule. And it reinforced the link between silence and meditation, in fact, which is a very old one. You find texts in Sanskrit that are 3,000 years old or sculptures that show meditation. And obviously, meditation involves not making any noise yourself, very often, it involves being in places that don't have a lot of outside noise. It is, no matter how mystically oriented you are, it's hard to settle down and meditate in a very noise environment. But what the caller said is absolutely true. I mean, you do concentrate, focus inward and focus away from the sounds around you, and that is a way of in fact trying to find silence within yourself. Obviously you do, as I said, you do need some physical protection, as well. Otherwise, it's very hard to achieve that kind of state. CONAN: Let's go next to Sybil(ph), Sybil with us from Charleston. Sybil, are you still there? SYBIL (Caller): Yes, I'm here. CONAN: You're on the air, go ahead. SYBIL: Hi. This is a great topic, and it's very dear to my heart. I have such a great appreciation for silence. I was lucky enough to grow up in a little town in Tuscany, in Italy, and this was way before "Under the Tuscan Sun," and at night, in winter, the silence was absolutely absolute. SYBIL: And then I came to the states, and I went to graduate school in New York City, and it would make me cry. I would get the subway, and I would get back to my apartment at Columbia, and I would just, it would bring me to tears. It just added so much stress to my life. And now I have to actively go looking for silence on walks in Charleston, and on Sunday afternoons, you can actually find it, and it's really, really nice. CONAN: Where do you walk? SYBIL: I walk downtown, on the peninsula, and you know, the carriages stop at a certain hour, and everybody's retreating on Sunday afternoon, and you can actually walk onto a block, and you'll hear nothing, maybe a cardinal singing. It's really nice. Mr. FOY: Well, silence is a relative thing, and I write in the book about the first time I really experienced the silence of the city was when there was a foot and a half of snow dropped on New York. And I walked down I was a kid then, and the snow was up to my thighs or knees, and I remember walking down the middle of Madison Avenue. There was no cars, no airplanes because the airports were closed. It was as if the city had, everybody had left, and it was a wonderful, wonderful feeling. At the same time, it can be very scary, as I said about the desert. It can indicate that you're very much alone and lonely and somewhat helpless. And when I lived on the Outer Cape for a long time, in the winter, sometimes I started to see the other side of silence and really long for a little bit of noise. But the book grew out of living in New York and being assaulted not only by more own life but actual physical sounds all the time and wanting to get away from that. CONAN: Well it's a Sybil, thank you very much for the call. We appreciate it. CONAN: In an effort to sort of, as you put it, know your enemy, you did go to some noisy places, too, not just the 79th Street subway station, including the launch of a space shuttle. Mr. FOY: Well, that's supposed to be the loudest sound available to human ears, if you want to subject your ears to it. In fact, I got into the VIP area. NASA was kind enough to let me view the launch from there, and that's as close as you can get. I think it's a couple of miles away. And even there, it's loud, but it's not the kind of level you get anywhere close to the launch - pad, which would if you got close to the launch pad, you would not only you would just have no ears left. It would probably just vibrate your brain into mush. It goes up to well over 130, 40, 50 decibels, very, very loud, and so but I only measured it up to 100. I mean, they try keep the VIPs away from damaging sounds. CONAN: That's probably a good idea. Here's an email we have from Wake(ph): I'm curious, if a sound recorder was recording in space, aside from a galactic collision now and then, is it silent? Is there native vibration to the universe? Well, I'm reminded of the old movie ad: In space, nobody can hear you scream. CONAN: Well, that's because they're faking it. Mr. FOY: Oh, I see. I didn't realize that for a long time. CONAN: Yeah, yeah. Now, you've got a - I hate to explode that myth. Mr. FOY: But I did think of space as possibly the ideal - the unattainable ideal in the sense that, well, you know, sound is sound waves. It's molecules rubbing against each other. And if you're in space and it's a void and you have no molecules, it's impossible to have sound. But, in fact, doing the research, I realized that space is not entirely void. There are particles in there. In fact - and they rub against each other throughout space, even in deep space. There's one particle per cubic meter in deep space, apparently, and a 100 per cubic meter in the solar system. And these rub against each other, and they create a type of very, very, very low frequency sound wave, to the point where there's actually a black hole in the Perseus Cluster that generates an A flat tone about 50 registers below what we can hear. CONAN: I found pure silence while caving, writes Melinda from San Francisco. 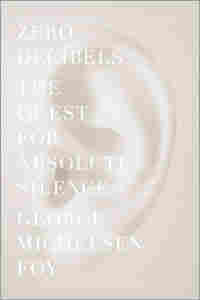 It was restful, but my tinnitus has always bothered me. The only thing I could hear was an occasional distant drip of water. The oddest thing was one time when I heard a distant thumping noise that I thought first was some far away machine, I eventually realized was the heartbeat of a friend of mine one or two meters away, who was resting between efforts to squeeze to a particularly tight passage. I had no idea that it was possible to hear another person's heartbeat from a distance. Mr. FOY: Isn't that wonderful? I mean, to be able to listen and to hear things like that, to hear your friend's heartbeat or to hear or your own nervous system. John Cage said that he could hear his own nervous system when he went into an anechoic chamber to - that caused him eventually to write the "4'33"," a silent piece of music. And I kind of scoffed at that when I read that. And then I found out later that, in fact, I mean, it is possible. And, in fact, tinnitus or a lot of tinnitus may be exactly that. It's your own nerves firing, and you're being able to hear that because they're actually in your hearing system. And so on that sense, in that sense, as I said before, it's impossible to get away from noise, the noise that you yourself make. But when you can find silence, something close to silence, then you start to discover this great spectrum of amazing sounds. And even your tinnitus can be interesting. I mean, the scraping I heard was - that rhythmic scraping was very desiring. I never quite figured out what it was, although somebody eventually told me it was probably my heart, as a little bit off phase from my pulse. And so I was probably actually listening to the blood going to the chambers of heart. CONAN: George Foy wrote about all of this in "Zero Decibels: The Quest for Absolute Silence." You're listening to it on TALK OF THE NATION, from NPR News. Let's go next to Louanna(ph), Louanna with us from Honolulu. LOUANNA: I don't know how much I'll get in. I have a five-year-old, and so finding enough silence to complete my sentences has been a difficult time, to say the least. CONAN: A challenge, at that. Yeah. LOUANNA: But when he was a newborn, we lived in the forest, deep in the forest in Northern California. And I just wanted to comment on the varying types of silences, although the forest isn't silent. It has a type of silence that I wasn't aware of until I got out of the forest, eventually, and went into the city, and I noticed a very distinct hum. It was like a humming of a machine. And I would ask my friends, do you hear that? And though they were accustomed to living in the city, they couldn't hear it. And I would ask fellow country dwellers: Have you ever noticed when you go into the city, there's a (makes noise). And that sort of scares me, that you become accustomed to so much static and noise that you lose levels of awareness, or you just -I guess you tune out the noise. I don't know what it was. But I found that interesting. CONAN: That's one of the first things you noticed, George, was the sound of the city. CONAN: Now, that's his next book. Mr. FOY: It's interesting how much they're related. I mean, it's cutting off sensible - excuse me, sensual input. It's cutting off your senses and trying to find space in which you reset your own measurements, your own ability to listen and to see. In fact, it was in the cavern that I first encountered total darkness, or I was told. And it was actually in Lebanon that - and the person said you probably never been in actual - 100 percent complete, total darkness, but this is it. And it was true. And it was wonderful. It was soothing to me in the same way. But there are - there's a park in Northern California called Muir Woods, which - where they have the Cathedral Grove in particular is an area that they fenced off for silence, because it's apparently - I've never been there. It was a very beautiful park and very quiet, but there was a lot of complaints from people who are going there to seek peace, that there were sounds from other tourists and there were sounds from planes going overhead. And this has actually become an issue in the national parks because more and more people are going there and being very conscious of wanting to find silence, or at least relative quiet and not being able to (unintelligible). CONAN: Because there's so many other people that are doing the same thing. Yeah. Mr. FOY: Yes, exactly. But apparently, since September 11th, there were number of reports from people in national parks whereby - they came out of there going, what's going on? What's going on? And people would say, well, how do you know anything went on? They said, well, all of a sudden, we realized that there was silence. We couldn't hear anything. We didn't even realize what we weren't hearing. What they weren't hearing, in fact, were the over flights. Mr. FOY: Because there's no part of the continental United States that isn't crisscrossed by jetliners, but all of a sudden on 9/11, there were no jetliners. And they knew something was wrong. Mr. FOY: Thanks a lot. CONAN: ...giving us a little peace, there. CONAN: Bye-bye. We'll end with this email from Paul in Orange Park, Florida. I love silence. 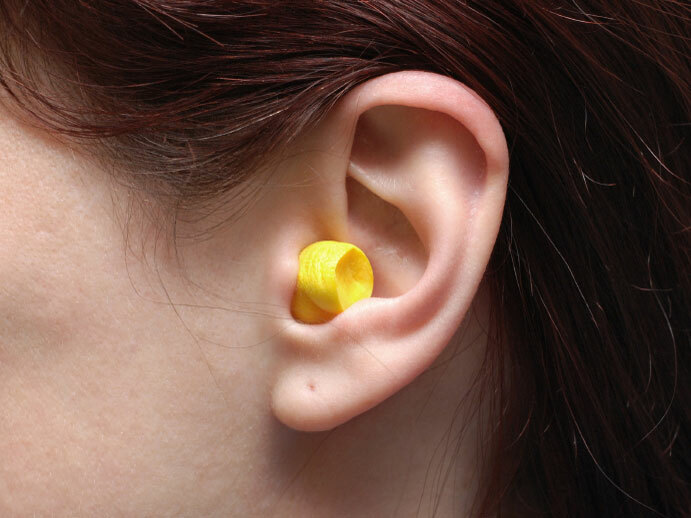 I frequently used wax ear plugs to block out most of the noise around me. If I want to go to extremes, I had sonic noise-reducing headphones. One of life's - one of my life's ambitions is to build a house that is as soundproof as possible. Specifically, I'd like to have a study in which I can't hear any noise from any other room in the house or noise from outside. This will most likely be subterranean. Mr. FOY: Well, good luck, because a number of people have tried this. Joseph Pulitzer, the publishing baron, was very, very sensitive to sound, almost psychotically so. And he built a mansion in the middle of New York. He had to live in New York, but he figured he'd build this huge stone mansion with a soundproof bedroom in it - just huge walls and drapes and so forth. And it didn't work. The plumbing in fact, apparently, drove him crazy. He couldn't get away from the sounds of plumbing. CONAN: George Foy is the author of "Zero Decibels: The Quest for Absolute Silence," with us today from member station WGBH in Boston. Thanks very much. CONAN: Coming up, Victor Cha on rising tensions between North and South Korea. Stay with us. It's the TALK OF THE NATION from NPR News. I don't know at what point noise became intolerable for me. I do know when I decided that, having lived for a long time -- weeks, months even -- in a state marked by my increasing inability to tolerate high volumes of sound, I decided, with a sudden certainty more characteristic of schizophrenics, or teenage lovers, to seek out the opposite, and track down silence wherever it might live. I was standing on the uptown platform of the Broadway local at 79th Street, in Manhattan, waiting for the train to ferry me and my children to the 116th Street stop. The Broadway local was taking its time about showing up, and I suppose the charge of frustration stemming from delay was a contributing factor. New York, in a non-Newtonian way, seems to boost the quantum of energy one brings to any event or problem with each additional unit of time spent in the city. Through vents leading to the street above, I heard traffic rush and honk. And the kids were squabbling. None of these factors would have made me particularly content with where I was or what I was listening to that day, although none of them should have bothered me inordinately either. After all, having lived in the city that never sleeps for ten years, I had, like most residents, evolved a higher threshold of tolerance toward over-the-top input of any kind. At some brute level, higher volumes of input are one reason we choose to live in New York. I take this ride several times a week. You might think I'd be inured to what was about to happen. The Broadway line south of Ninety-sixth Street consists of two local tracks, one uptown, one down, with two express lines in the middle. Similar equipment runs on each track but the local trains, which stop at every station and don't enjoy the long stretches of acceleration available to the express, travel slower. On the afternoon in question, at approximately 4:17, the downtown local screeched into the station, across the tracks from us. Even one train -- with its steel wheels mashing steel rail, brakes woefully lacking in grease, ventilators roaring as they struggle to keep the temperature of both motors and passengers in check -- hits the ears like an extrusion of New York, in all the city's unapologetic whaddya, its in-your-face aggression. The level of sound it generates will set babies crying. That day, however, just as the downtown local was coming to a halt, the uptown local came in; and at the same instant the downtown express entered the station, its seven burgundy-colored cars thundering shrieking roaring at 40 mph between the slowing locals. Immediately thereafter the uptown express, as if anxious not to miss the party, showed up around the curve from Seventy-second Street and blasted into a station already occupied by three other trains, two moving, one now stopped. The noise was immense. It was gut-pounding. It smacked the cosmos. Without thinking I clamped the flat of my palms to both ears and screwed my face into the scrunched expression of a root-canal patient. I usually despise people who do that on subway platforms. Wimps, I think; milquetoast souls who cough if someone is smoking across the street, who wear cardigans and bicycle clips; for God's sake, if you're so delicate, move to an ashram! But here I was doing the same thing. And still the noise grew, as the express trains slammed past each other in the stone tunnel, and the flanges of their wheels rocked forty-five tons of weight against the edge of rail; the whine of motors; the warning "dings" as the doors of the downtown local closed and ours opened; the grunts and plaints of sardined passengers; and the overamped voice of the conductor yelling, "Seventy-ninth, let the passengers off -- stand clear of the closing doors." I remember keeping my hands power-glued to my ears, even as we boarded and sat down. My daughter Emilie, who as a teenager is always alert to signs of egregious weirdness on the part of her progenitors, glanced at me nervously. But for once something had cracked the enamel coating New Yorkers must accrete to live in this town, and I kept my ears covered, cringing at the rumble that filtered through my palms; thinking, I can't put up with this kind of noise, day in, day out, any longer. I mused, This has to damage me in some way, reflected also -- because that was the other wheel of this scooter of thought -- I need to find somewhere quiet. And the train rumbled slower, and stopped, and the loudspeaker blatted, "Eighty-sixth, let 'em off!" and I thought no, not just quiet; what I want now is silence. No noise. No sound. Nothing. That was when I thought of the farmhouse. It's an old, dark house, smelling of dry rot and smoke, with a fieldstone hearth and thick walls. The farm lies deep in the hills of the Berkshires, far from any roads. It's the dead of night, at midwinter. The air is frozen and void of wind. Farmhouse, meadows, and woods surrounding are buried in a quilt of snow so deep that everything alive has chosen not to fight, but burrow instead below the white insulation and go to sleep. All is so cold and silent, on that farm in my mind, that the stars, shining against a sky the color of tarnished lapis, seem to give off a vibration that is not sound and not light but something in between -- something that is perhaps the essence of silence itself. 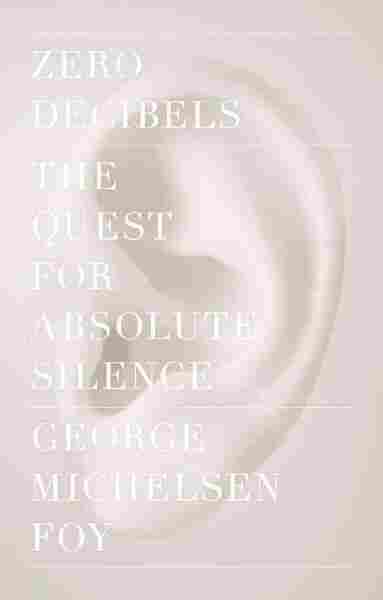 Excerpted from Zero Decibels: The Quest for Absolute Silence by George Michelsen Foy. Copyright 2010 by George Michelsen Foy. Excerpted with permission by Scribner, a Division of Simon & Schuster, Inc.